Employees unions of public sector banks are scheduled to meet Indian Banks’ Association (IBA) on Friday to discuss the issue of wage revision. Representatives of the United Forum of Bank Unions (UFBU), an umbrella organisation comprising nine employees unions, will hold the meeting with IBA which represents managements of Indian banks. The meeting – to be held on June 13 – was confirmed to PTI by C H Venkatachalam, general secretary of All India Banks Employees Association (AIEBA), a constituent of UFBA. AIBEA is the largest PSBs employees union having a strength of about five lakhs banks employees. Venkatachalam said: “This will be a crucial meeting. The management must consider the wage hike as an investment in their employees. Otherwise, with more private banks to be set up after the new bank licences are rolled out, they would easily poach from PSBs with higher pay packages. Bank employees had gone on two-day nation-wide strike in February to press for their demands citing high inflation and rejecting the management’s offer of a 10% hike in the cash component of the pay package. It included basic pay, dearness allowance, house rent allowance, routine medical expenses and a special allowance, but excluding superannuation benefits, travel allowance and hospitalisation reimbursement. “We want adequate hike in salary comparable to other sectors. 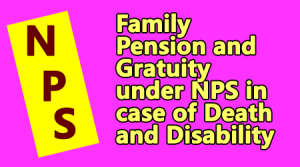 Our readiness to agree to a low hike in the cash component will depend on the management’s readiness to accept our demands of taking care of housing as well as medical expenses of the employees and their family, including hospitalisation,” Venkatachalam said. “In the last round of wage revision settlement signed in 2010 for 2007-12, the management had agreed to 17.5% raise in the total salary. This time, the employees are asking for an increase in the cash component of their salary,” he added.